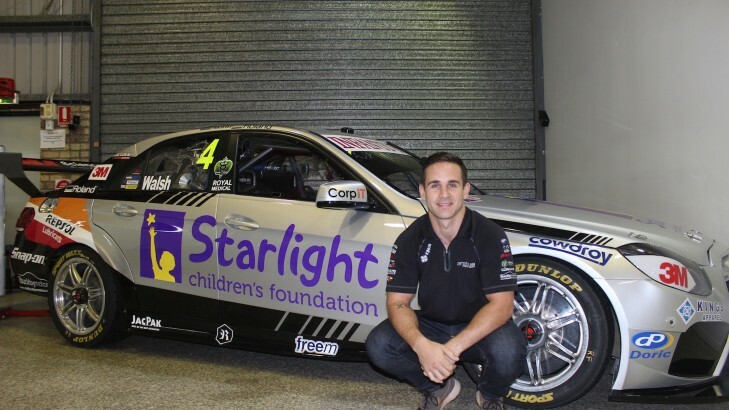 Ash Walsh will be driving for charity at next weekend's Perth SuperSprint, with Erebus Motorsport today unveiling a special Starlight Children's Foundation livery for the team's WA assault. Continuing the team's association with the Starlight Children's Foundation from the corresponding round 12 months ago, the organisation's bright purple and yellow branding will feature prominently on the doors and bonnet of Walsh's #4 Erebus Motorsport entry. In addition, one lucky Starlight child will receive a VIP V8 Supercars experience on the Sunday of the Perth SuperSprint event which will see them enjoy a meet 'n' greet with Walsh and Erebus Motorsport Owner Betty Klimenko, receive VIP access to the racetrack and Erebus garage and a grid walk prior to Sunday's main race. The promotion coincides with Starlight Day on Friday May 1, the organisation's biggest national fundraising event, which aims to raise $1.3 million in order to help make hospital less scary and more fun for sick kids and their families. The charity livery for Perth comes as Erebus continues its search for a Title Rights partner for Walsh's car #4 for the remainder of 2015 and beyond. Erebus Motorsport Owner Betty Klimenko said the team was only too happy to help promote the great work the Starlight Children's Foundation undertakes throughout Australia and provide an experience to remember for one sick child. "Last year we hosted a young lady named Temeley, who sat in my chair for the day in the garage and had a great time, so I'm sure we can create another memorable experience for a lucky child and their family this year,'' said Klimenko. "The Starlight Children's Foundation does some amazing work throughout Australia and this is our way of recognising that as well as helping to promote Starlight Day." Walsh said he was proud to help promote the Starlight Children's Foundation and loved the new livery design. 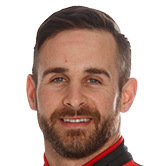 "I love the look of the car with the bright Starlight colours and hopefully we can give them something to cheer for on the track over the course of the weekend,'' said Walsh. "Perth has been a happy hunting ground for me in the past so fingers crossed that continues next weekend. "And if we can help put a smile on one lucky child's face over the weekend, then we've helped make a difference." Walsh will test the Erebus Motorsport E63 at Queensland Raceway on Thursday.